"Murder without blood stains like Amos without Andy - most unusual." (Special day this month only) WEEKLY CHAT/FILM VIEWING: The Shanghai Cobra starring Sidney Toler. Please join us as we discuss this film LIVE as we watch it together via video tape or DVD! 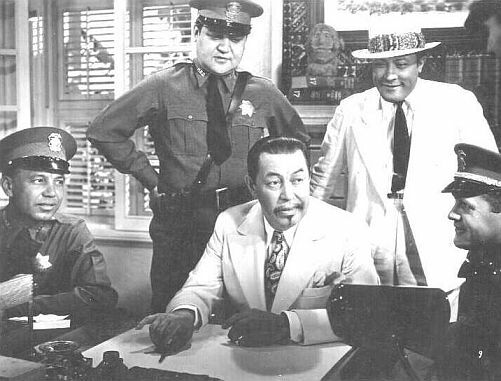 (Special day this month only) WEEKLY CHAT/FILM VIEWING: Charlie Chan in Honolulu starring Sidney Toler. Please join us as we discuss this film LIVE as we watch it together via video tape or DVD! Keye Luke, who would portray Charlie Chan's number one son, Lee, in eleven films, was born in Canton, China on this day in 1904. (Special day this month only) WEEKLY CHAT/FILM VIEWING: Charlie Chan at the Race Track starring Warner Oland. Please join us as we discuss this film LIVE as we watch it together via video tape or DVD! (Special day this month only) WEEKLY CHAT/FILM VIEWING: Charlie Chan in Reno starring Sidney Toler. Please join us as we discuss this film LIVE as we watch it together via video tape or DVD!